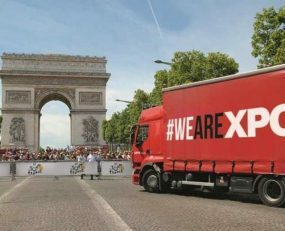 XPO Logistics has utilized intelligent robotics at its facility in Ile-de-France, France, for an e-commerce customer. The solution was put in place in October in preparation for Black Friday and holiday peak and is aimed at processing orders quickly at lower costs by helping workers manage fluctuations in volume. The autonomous robots are part of a modular system that integrates special bins, picking stations and shelves. The storage capacity includes thousands of bins that can be divided into smaller units if necessary or expanded to include more capacity. The system has the flexibility to handle products ranging from fashion and home goods to cosmetics and food. Each robot picks inventory items from shelves up to four times faster than human beings, brings the items to workers at order preparation stations, shortens fulfilment time and enhances accuracy and safety. The lightweight robots are easy to transport and install, giving XPO the flexibility to relocate them within the warehouse and add or subtract robots as volumes change. XPO’s latest robotics implementation is part of the company’s planned $450m investment in technology this year.